Hofner guitars and basses hold a very special position in the history of popular music; they were the guitars that so many influential British guitarists of the early 1960s were playing, Most notably of course, Paul McCartney of the Beatles, with his 500/1 Violin bass. And it's not hard to see why. Hofner instruments were of high quality. The hollow body guitars have their own great feel and tone; woody and resonant. They are great guitars to play, and perhaps not surprisingly, lend themselves well to blues and jazz. Karl Hofner started producing violins in 1887, adding other stringed instruments to the line soon after. He and his sons, Josef and Walter, built the business in Schonbach, Germany, building their first guitars there in the 1930s. Coming from a tradition of Violin making did have a noticeable impact on the guitars they produced, and not just in body style, as in the aforementioned 500/1 bass. Players more used to other brands are often amazed at the light weight of hollow-bodied Hofner guitars and basses, and the superb "woody" tone. But one downside is the fact that they are less durable than many equivalent instruments; after all violinists don't thrash their instruments, and a typical Hofner can not take the beating that many rock guitarists like to mete out. Violins are held together with animal hide-based glue in order that necks can be steamed open and reset. After several decades, the joints of guitars built this way will often need regluing; most vintage Hofners have had or will need a neck reset. Likewise finishes, whilst beautiful looking, are not able to handle the wear and tear of decades of use. Vintage Hofners can be great functional instruments, but need to be handled with care to remain in tip-top condition. The Schonbach plant ceased instrument production during the second world war, and was closed shortly afterwards. Instrument production started again with a big new plant in another German town, Bubenreuth, opening in late 1950. Hofner's long history in orchestral stringed-instrument manufacture dictated the kind of guitars produced: well-built hollow bodies with set necks, many with hand carved tops, many acoustic; and many utilising the inlaying skills of Hofner's craftsmen. As the 1950s progressed numerous improvements were instituted; Hofner certainly kept up with the important developments in American guitars, and by the very end of the decade were producing thinlines, and fitting adjustable truss rods to all models. But guitar demand grew massively over the next two decades; both in Germany, but also increasingly worldwide. Sales were rising, buoyed, by the advent of rock 'n' roll and then beat music, and the Bubenreuth plant had to be extended on several occasions to keep up with production. Hofner guitars have always been popular in the United Kingdom. Hofner made special UK models like the President, Senator, Congress, Committee, Verithin and numerous others. They were similar in many ways to some European models. They were distributed in the UK and Commonwealth by Selmer and sold well in the late 1950s and very early 1960s, both as student and professional instruments. More expensive American guitars by Gibson, Gretsch and Guild were largely unavailable (or at least unaffordable) due to trade restrictions, at least until 1961, and at this point British guitar makers were unable to produce well-built hollow-body guitars, so Hofner initially had little competition. 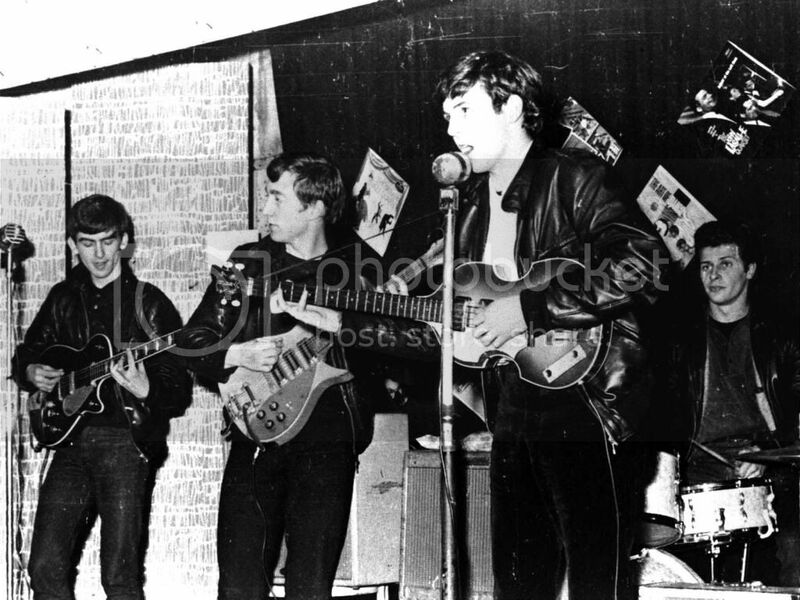 Then, of course, there was Paul McCartney who had bought his 500/1 violin bass in 1961. He played this bass throughout his time with the Beatles, and despite having other basses available always came back to this; most notably using it on the famous Apple building rooftop concert of 1969. One other big change in the 1960s was the strong demand for solid body guitars; in part due to the changing musical direction of the 1960s, but also the huge growth of student guitarists looking for cheaper instruments than the labour intensive hollow bodies. Original Hofner models like the V-series (V1, V2, V3) were followed by the Colorama, Super Solids and Galaxie guitars, all of which sold well to aspiring guitar players of the 1960s. Solid bodies performed better at louder volumes, and as the 60s turned into the 70s, hollow guitars dropped out of fashion. But Hofner was facing problems. Highly respected manufacturers like Gibson and Fender had the professional end of the market all but sewn-up, whilst Asian manufacturers were producing high quality budget guitars very cheaply indeed. Hofner managed to keep flagship models like the violin bass, but was otherwise forced down the route of the Japanese manufacturers producing (admittedly not bad) copies of Gibson guitars. Greco Japanese Hofner Copy Violin Bass Guitar New Price! I have a Hofner 486 acoustic 6 steel string guitar. I wanted to find out what approximate value it may be to sell. I own three Hofners, a '61 Hofner Congress acoustic, a '63 President electric and a new contemporary series Verithin in stunning translucent cherry. All great players, especially the new verithin, which has a great action. I think the two others have slightly too high action for me, but I don't want to go the neck reset route. Any tips for improving playability without major work?